With a refreshed menu and new chef Immanuel Tee (formerly of Garcons) helming the kitchen, Vineyard at HortPark has introduced brand new weekend brunch items. Kick back, relax, and dine on casual, French and Italian inspired fare amidst lush greenery on a much deserved lazy Sunday morning. Whilst awaiting your food, quench your thirst with Cucumber Tea & Tonic ($8), a refreshing summer mocktail made with cucumber mint brewed tea, cucumber syrup, tonic water and fresh cucumber cubes. 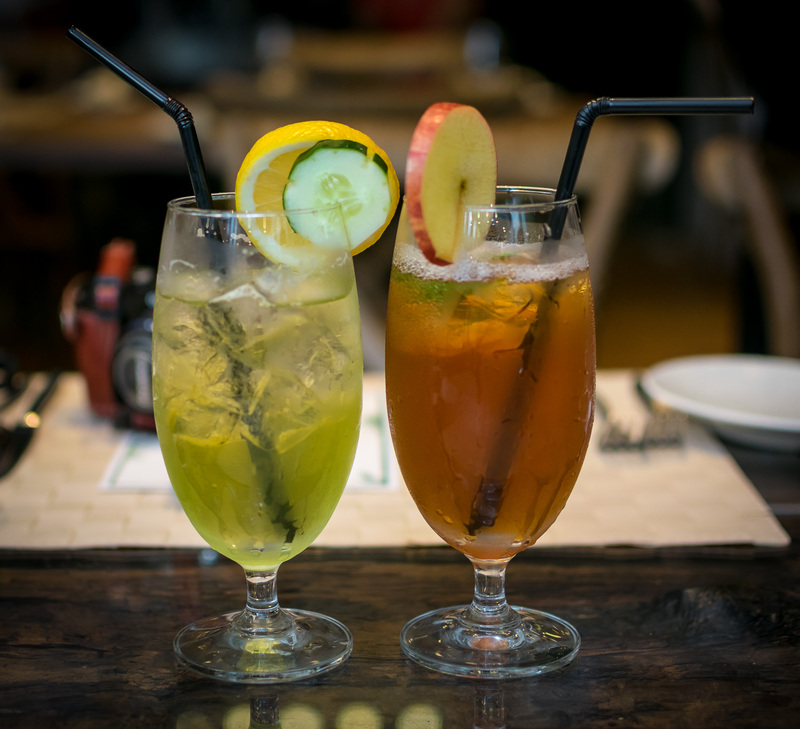 Prefer something fruity and a little sweeter? Then try the Rose Mela ($8) – a concoction of earl grey brewed tea, green apple and rose syrups. 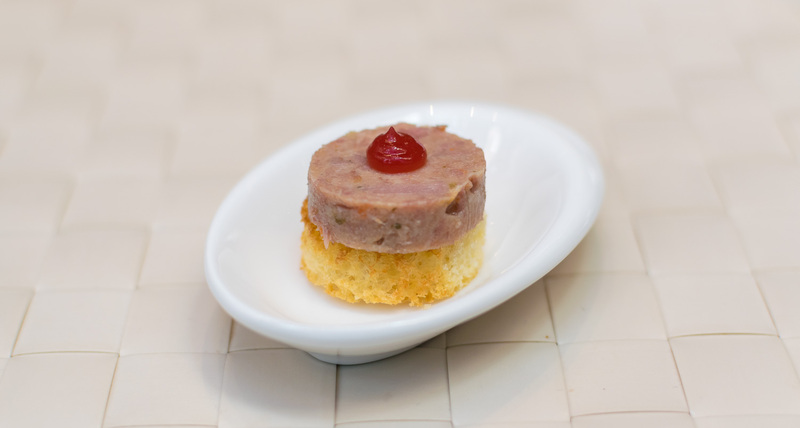 To start, a most tantalizing house-made Duck Rillette Bruschetta that was pleasingly moist, tender and meaty, a pleasing contrast to the crunch of crisp bread. Off to a most promising start, and our starters were no less impressive. 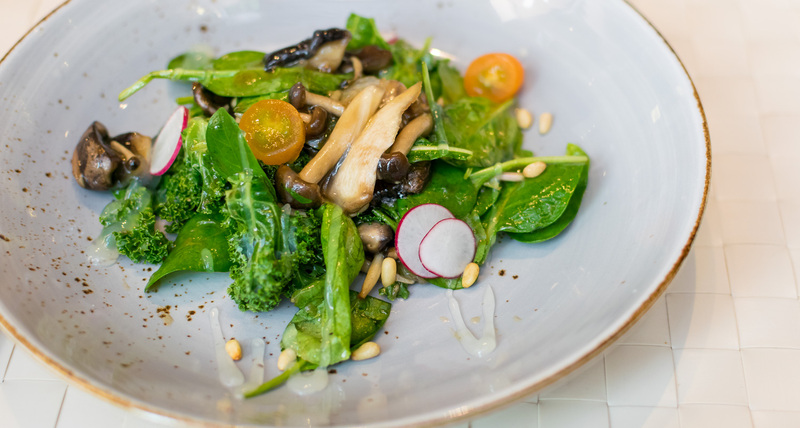 The Warm Truffle Shoyu Mushroom Spinach Salad ($18) doesn’t sacrifice taste for healthy eating, and was soothingly umami, with a fragrant truffle shoyu sauce gently coating sauteed mushrooms, baby spinach and pine nuts. The addition of yuzu gel was an inspired touch, lending subtle notes of citrus without being too heavy handed. 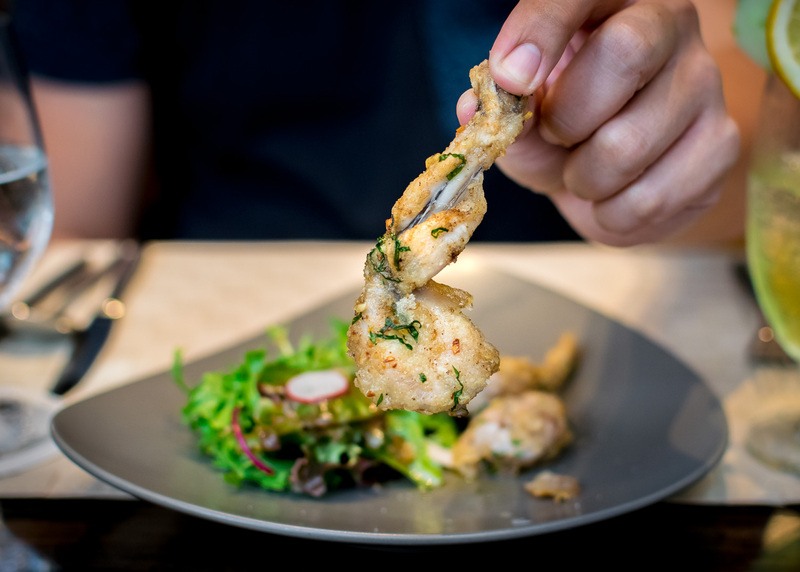 If you’ve never had frog legs before, rest assured its taste is nowhere near as exotic as you might be inclined to believe. Think amphibious chicken, albeit more delicate, and you wouldn’t be far off the mark. Basted in a parsley garlic butter, the lightly battered Garlic Parsley Frog Leg ($18) was tender and juicy, slipping off the bone easily. Feeling ravenous? 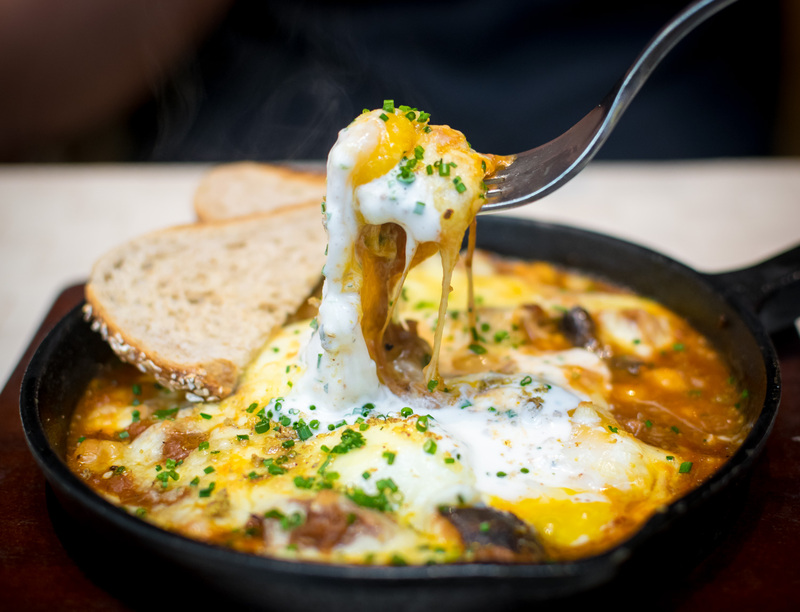 Then you can’t go wrong with Vineyard’s Moroccan Lamb Baked Eggs ($22) – a hearty, shakshouka-esque stew of spicy tomato braised shredded lamb and chickpeas, coddling molten eggs blanketed in mozarella cheese and pistachio dukkha. I only wished they provided more bread, and thicker slices of it. 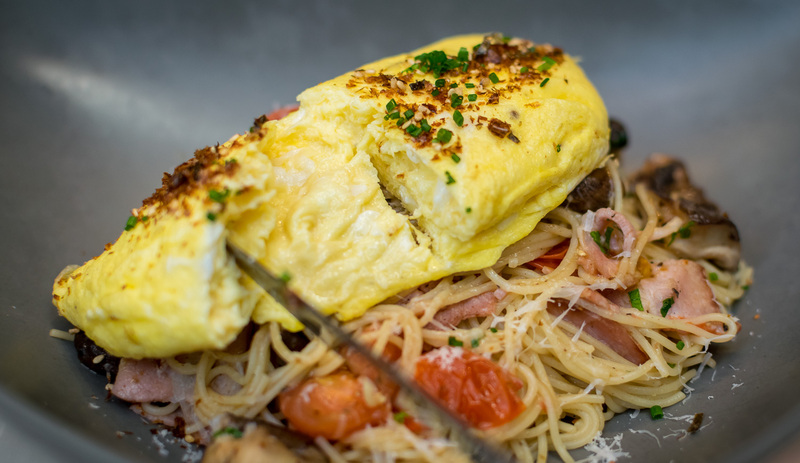 It was love at first sight when I spied my dining companion’s Big Breakfast Aglio Olio Pasta ($20), with a perfectly shaped, wobbly French omelette perched atop a mound of angel hair pasta tossed with garlic, bacon, cherry tomato and mushroom. They say you can test a chef’s mettle by how well he cooks his eggs, and this specimen passed with flying colours. Cutting into the pillowy parcel revealed a still slightly runny interior, a simple joy to behold. The slightly overcooked pasta could have done with a hit of chilli and a pinch more garlic, but it was still enjoyable overall. 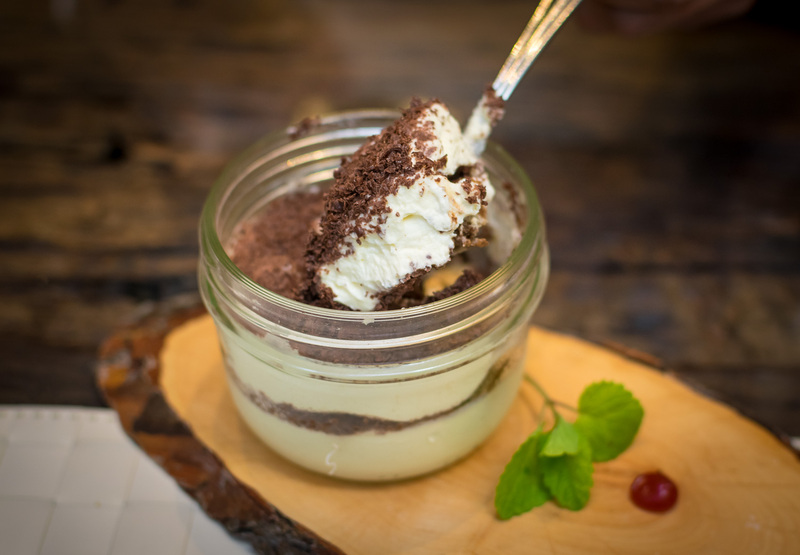 Vineyard’s selection of desserts might be a little vanilla, but who doesn’t like vanilla, especially when done well? 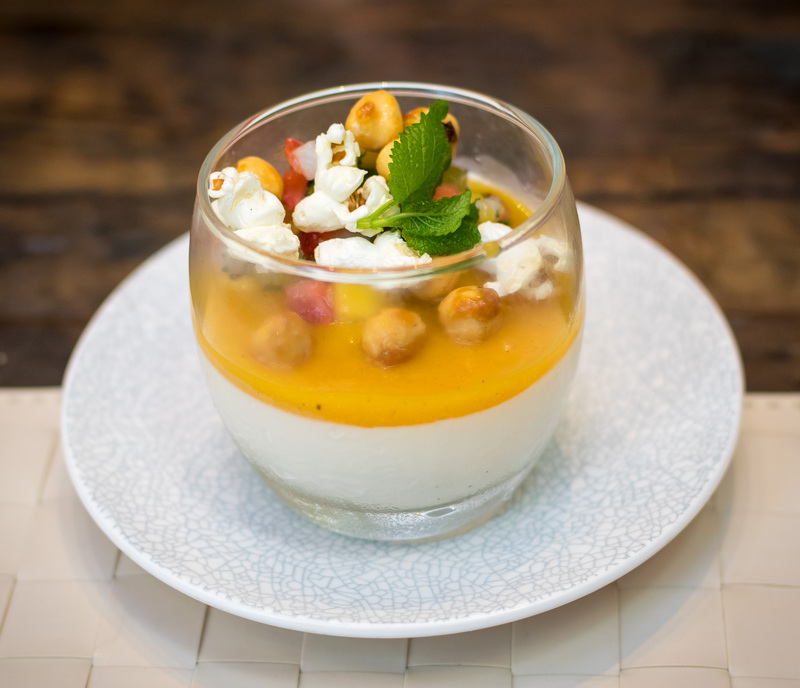 Start with a delicate Vanilla Panna Cotta ($12) with tangy apricot jam, mango gel, fruit and popcorn and end the meal on a luxurious note with their Signature Italian Tiramisu ($14) that’s layered with boozy Kahlua espresso-soaked sponge and rich Baileys Mascarpone Cream. Beautiful. Fried chicken connoisseur, well-versed in the fine art of alcohol appreciation. Will write for food.